Making your home customized and cozy with a local Texas flavor is all the rage. More people are making this dream a reality by using an assortment of original, creative, Texas fancy interior design ideas. Working with experts and seasons professionals at the top retailers, Texans are acquiring original products that make a huge difference. In particular, people are loving their antler chandeliers. 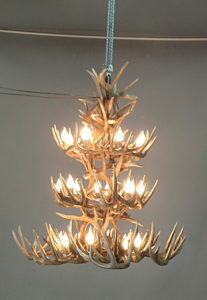 The most popular new items include large white tail deer, elk and large mule deer antler chandeliers. These impressive antlers will get anyone's attention when they enter the home. They are classy, original, distinct and clearly Texan. Best of all, these chandeliers can be made to order with unlimited options and customized to the unique needs and demands of each home. That means the size can be customized as well as the color and shape of the mounting board. 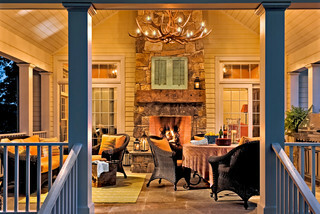 Additionally, people can choose the antler style that works best with the rest of their decor. That means they are able to work with professionals or interior designers that have the training, background and experience to fit everything in to make it look just right. Besides antlers, more people are grabbing up lamps and bar stools with antler themes as well. These are used to fit out the home or room to form a complete set. The Peak Antler Company is a leading custom antler product retailer and provider of antler products. 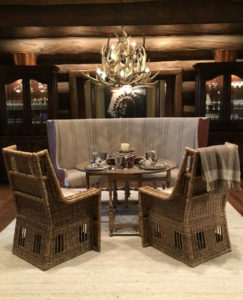 The firm has helped to professional decorate thousands of homes around the state and country with the most beautiful, imposing and unique antler pieces. For more information and ideas for you next Texas Fancy Interior Design antler piece, please contact us.